It's a veritable cornucopia of rainbow smiles over at US mega airline Delta, because for the second straight year, Delta has received a perfect score of 100 percent on the Corporate Equality Index (CEI), a national benchmarking survey and report on corporate policies and practices related to LGBTQ workplace equality, administered by the Human Rights Campaign Foundation. Delta joins the ranks of 609 major U.S. businesses which also earned top marks this year. Corporate Equality Index" I'm fortunate to work for Delta," said Billie Ashton, the Transgender Advocacy Chair on the Delta Employee Equality Network (DEEN) Steering Committee and an MSP-based ramp agent, who recently celebrated 32 years with the company. "I think having a perfect CEI is a very powerful thing for the company to accomplish. It solidifies the corporate message of being truly inclusive. I'm proud of DEEN for raising awareness and of Delta for making it happen. " 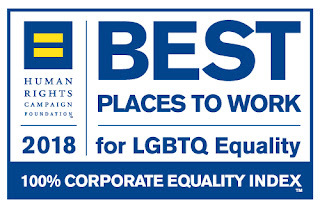 The 2018 CEI rated 1,084 businesses in the report, which evaluates several LGBTQ-related policies and practices including non-discrimination workplace protections, domestic partner benefits, inclusive health care benefits, competency programs, and public engagement with the LGBTQ community. 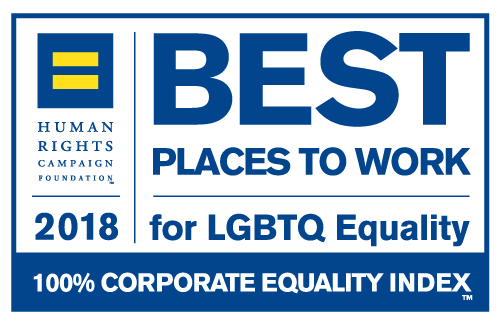 Delta's efforts in satisfying all of the CEI's criteria results in a 100 percent ranking and the designation as a Best Place to Work for LGBTQ Equality. "Receiving this distinction is a strong validation of Delta's efforts to value diversity and the contributions of people of all genders, races and sexual orientations," said Michael F. Long, a Fort Lauderdale-based flight attendant and president of DEEN. Michael Fernandez, who represents In-Flight Service on the Delta Board Council, added, "Earning this award for the second year in a row demonstrates Delta's consistency in adhering to its core values, which makes our company a great place to work for everyone." In addition to the company's focus on providing equal opportunities for all Delta people and promoting diversity, DEEN is committed to making Delta the best place to work by promoting inclusion, respect for differences, equal opportunity and diversity in the workplace. Its executive sponsor is Greg Tahvonen, Delta's Vice President – Total Rewards and Global HR.